Fox Doesn’t Just Cover The News, They Sponsor It Too! Fox News continued proving its journalistic excellence with its trademark “fair and balanced” coverage of the wild tea party movement that’s sweeping through the nation. Or at least through the Fox News room. There, everyone’s favorite trustworthy Fox News anchors, like Glenn Beck, Neil Cavuto, Greta Van Susteren, and Sean Hannity helped giddily celebrate “FNC’s Tax Day Tea Parties” with the rest of the greatest, free-est, most awesomest country in the world, the U.S. of A! Now, not only do our news networks report on what’s going on; they actively participate in it! But it’s not like they promote it or anything. Sure, nobody’s covering the tea parties quite like Fox–whose hysterical, ’round-the-clock, borderline-obsessive coverage has prompted critics to accuse the network of blurring the line between journalism and advocacy. Critics like every other mainstream media outlet in America that doesn’t have its anchors shrieking “It’s tea party time, from sea to shining sea” while donning colonial garb to trace the history of the tea party movement and urge voters to send teabags to Washington. Sorry, Jan. But what would you do if you were desperate for ratings and forced to appeal to an increasingly fringe audience of cuckoos? 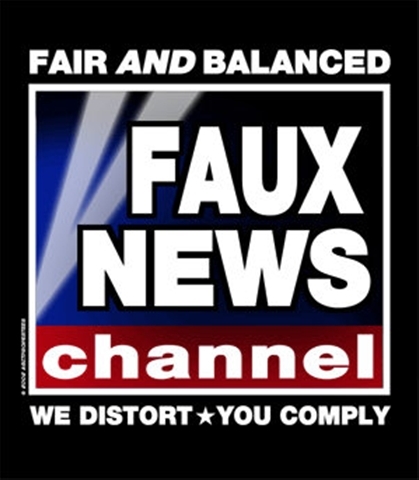 At least Fox is being ‘fair and balanced’–in their unwavering support of both the tea baggers and their (newly fattened) bottom line ($$)!